40% of jobs will disappear with the digital revolution. How can new economic movements respond? Last week, the European Parliament members urged the European Commission to keep a close eye on the rapid development of robots and the changes this will produce in the labour market through the creation, displacement and loss of certain jobs. According to the World Economic Forum (WEF), the Fourth Industrial Revolution, combined with other socio-economic and demographic changes, will transform labour markets in the next five years, leading to a net loss of over five million jobs in 15 major developed and emerging economies. As technology develops, fears increase. Who will we work for in the future? 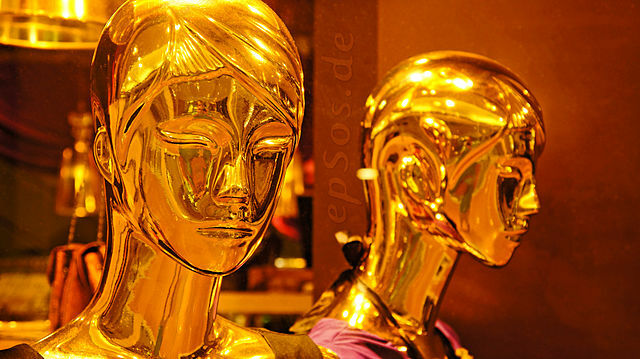 Will AI and robots just expel us from the market? Will they pay for our health system or keep the retirement bucket up and running? Of course, on facing these questions, we can see the glass half empty or half full. We usually forget that the WEF itself has already said job loss could be partially offset by the creation of 2.1 million new jobs mainly in more specialised professional families – Computer, Mathematical, Architecture or Engineering – so it may be just a case of accepting the world is changing and adapting to the new reality. Daniel Truran, director of Communication and Marketing of B-Lab Europe and speaker at the New Economy and Social Innovation Global Forum (NESI Forum), claims that “in the future,we will work only half of the day and will spend the rest of our time contributing to our community.” That’s quite a lot in a world where we always lack time. In fact, this is something that lies under many of the experiments around basic income currently taking place across the planet. They all work on the thesis people who have their basic needs covered will mostly use their time to help others. This is something other experts agree with. Luis Tamayo, OuiShare Connector in Madrid and representative of the collaborative economy movement at NESI Forum, points out that given the increasing digitalisation of our lives, the automation of production and the growing global population, it is impossible to maintain an economic model in which employment is the only way to earn income. “We want money to buy goods and services but, if these goods and services can be shared and exchanged, there is less pressure on the citizens to earn money,” he says. And he can't be totally wrong if we look at the rising popularity of the sharing economy and the access vs. ownership paradigms. This is happening at a large scale already. Remember co-ops and social enterprises had been practicing democratic and horizontal management, as well as the fair distribution of wealth for decades. Or think of the over 2,000 B Corp certified companies that are measuring business success in terms of transparency, worker ownership, employee benefits, diversity and community practices. Since they are connected to people and put their wellbeing in the very centre of their activity, the new economy movements are faster and more flexible than traditional institutions when it comes to responding to societal changes, and they will be key in the face of this Fourth Industrial Revolution. Now more than ever, we all (organisations, businesses, public institutions and citizens) need to work together. NESI Forum will be encouraging the debate around these and other opportunities the new economy movements pose in the context of the digital revolution on 19-22 April 2017, in Malaga (Spain). Hope to see you there! You can book a ticket for this year's NESI by clicking here.